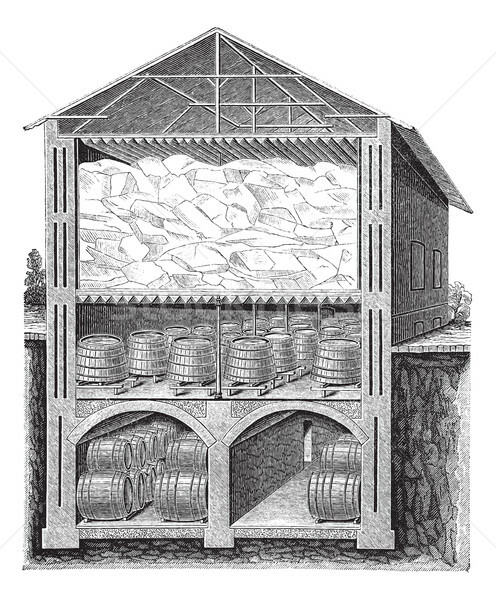 Stock photo / Stock vector illustration: Old engraved illustration of iced beer cellar system of Brainard. Industrial encyclopedia E.-O. Lami - 1875. Online since December 25, 2015.